Host a workshop in your home and receive a free catalogue, stamp sets and products of your choice! 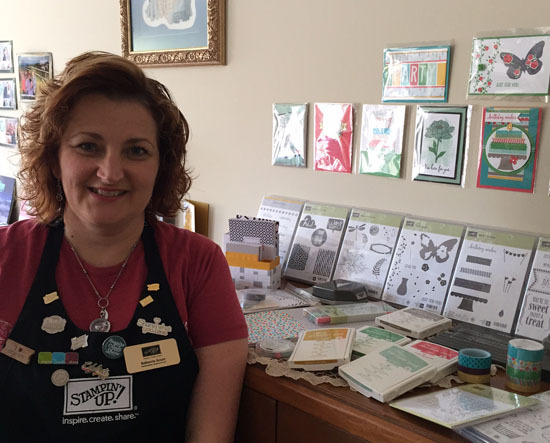 At a workshop, you will have the opportunity to use the fabulous products offered by Stampin’ Up! and make a card or two and 3D item. You will also get to preview the latest techniques and products available. A workshop is free, all you need to do is provide the guests!! For more information on hosting a workshop, click here. I also conduct a monthly class for $20 which includes making three cards, generally with a theme, and afternoon tea. If you place an order on the day, you will recieve a $5 discount from your order. Here are the dates for the classes up to December 2015. If you are interested in coming to a class, please contact me and I’ll give you the details of where, what and when! If you have a group of friends, I’m happy to come to your home and conduct a class with you.